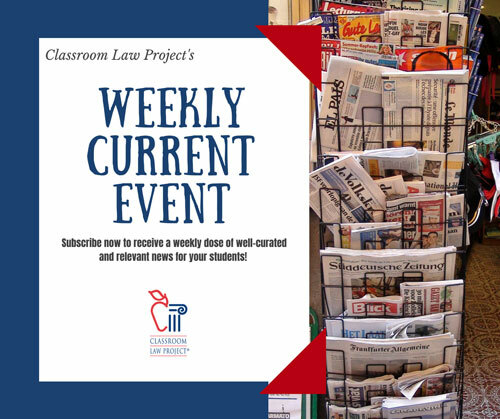 Each week Classroom Law Project provides teachers with an in-depth look at a current event topic and resources to integrate that issue into your teaching. Each current event includes multiple reliable news links, essential questions, Constitutional and civics connections, and lesson ideas for teachers. Master teachers and civics veterans choose up-to-the-minute relevant topics, vet the news articles so they are student appropriate, curate the best sourced news, and provide insightful essential questions and prompts that you can use on a moment’s notice. We also connect each weekly issue with Oregon State Standards and connections to the We the People curriculum that you can use in your classroom.